It’s hard to believe that less than 100 years ago, women couldn’t vote, and nowadays most women don’t even think twice about it. 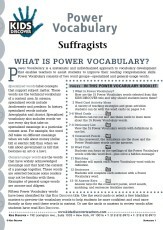 However, without the hard work and dedication of several generations of suffragists, this right would not exist. 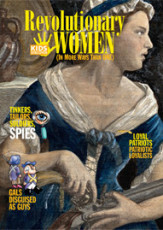 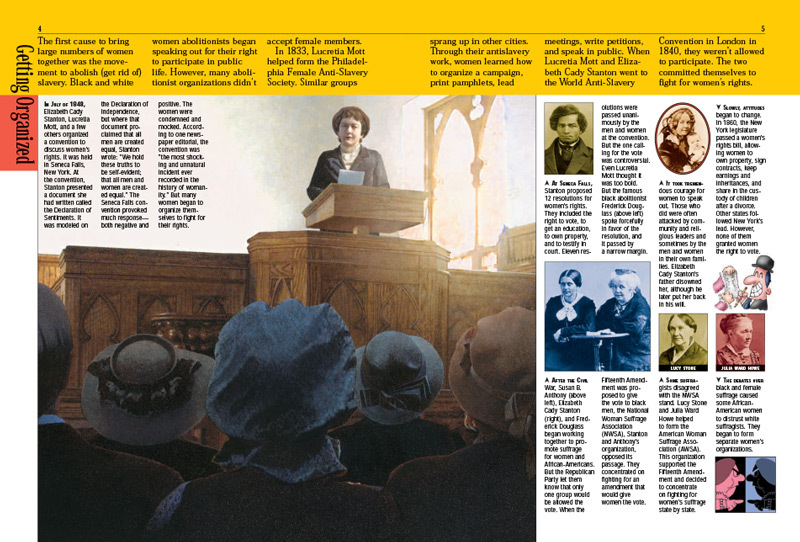 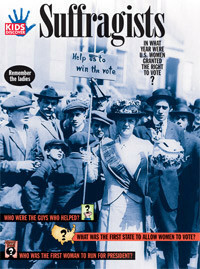 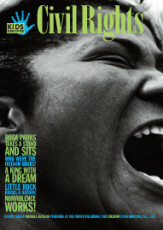 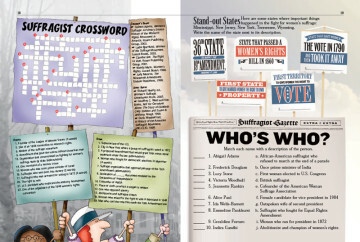 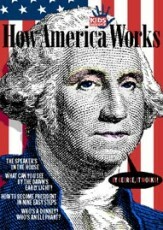 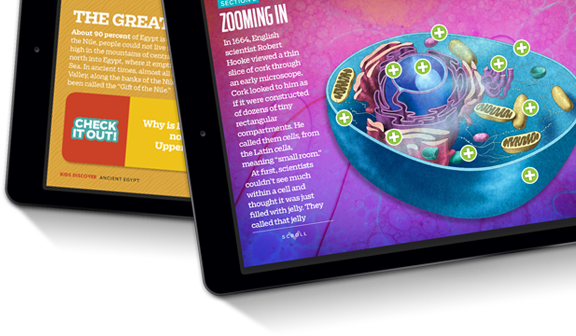 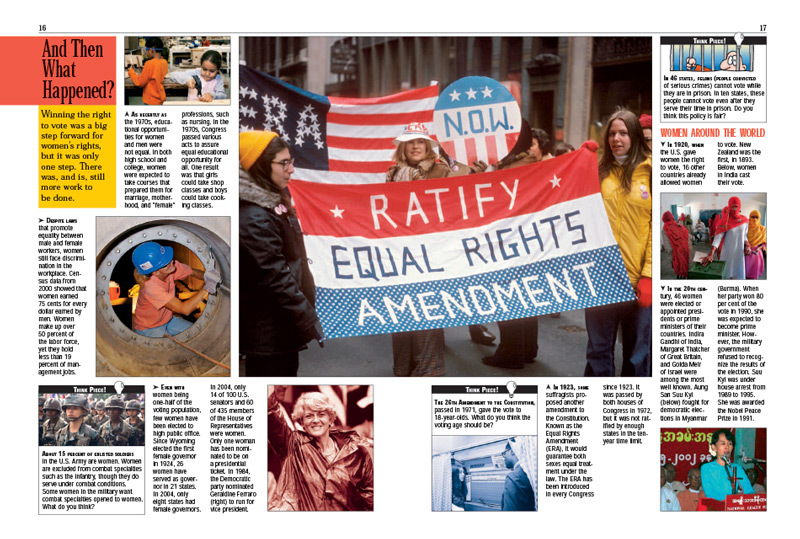 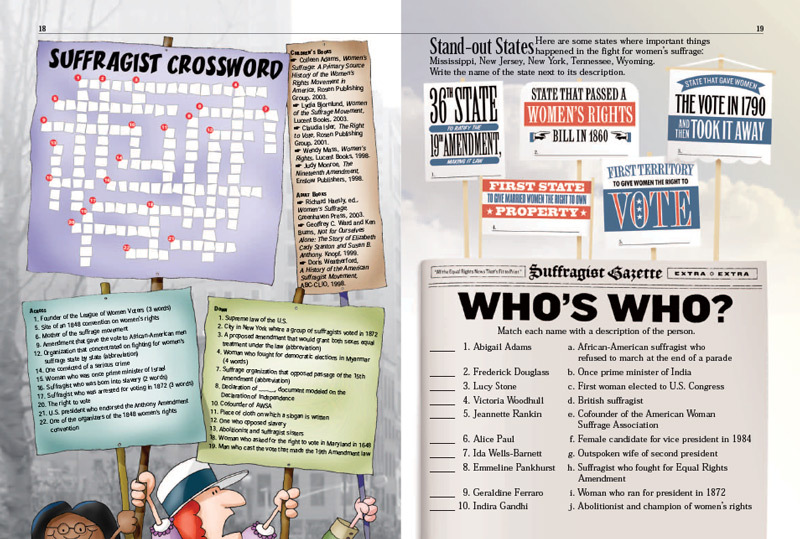 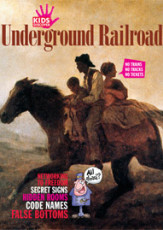 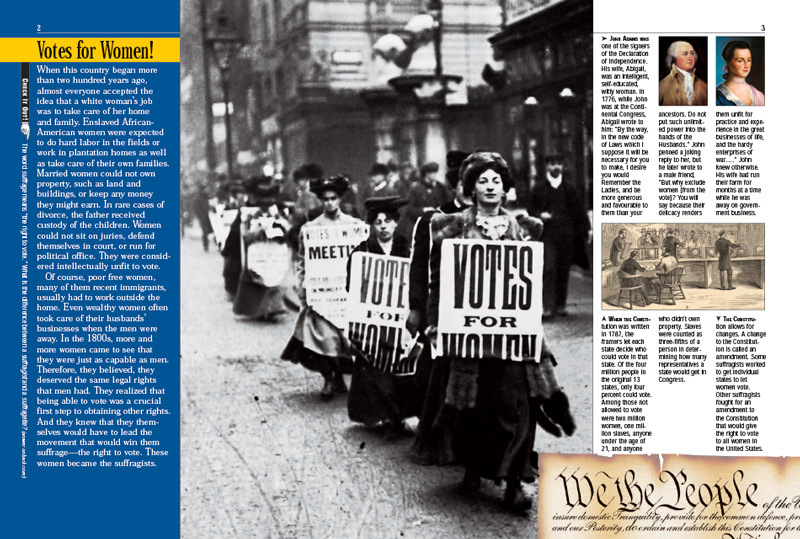 Learning about women’s rights, for kids, is made timely and compelling in this issue, which starts off with a look at women’s status after the Revolutionary War; among other things, they could not own property, vote, sit on juries, or keep their children if they divorced. 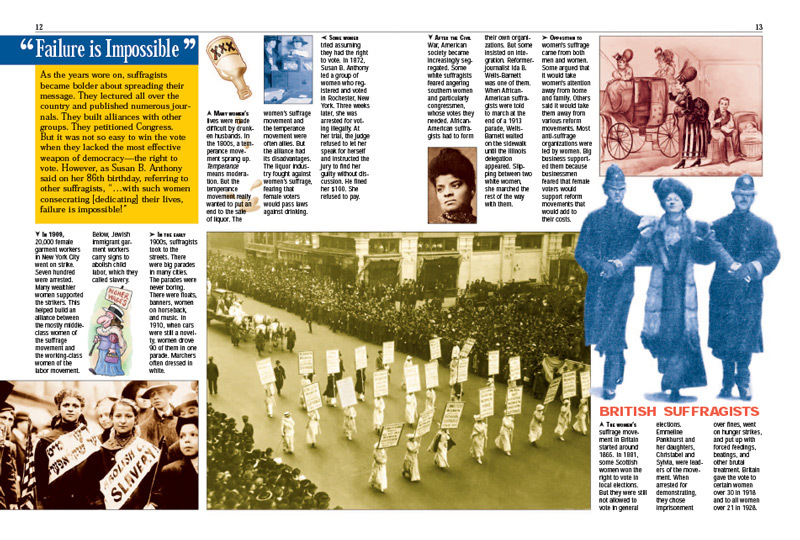 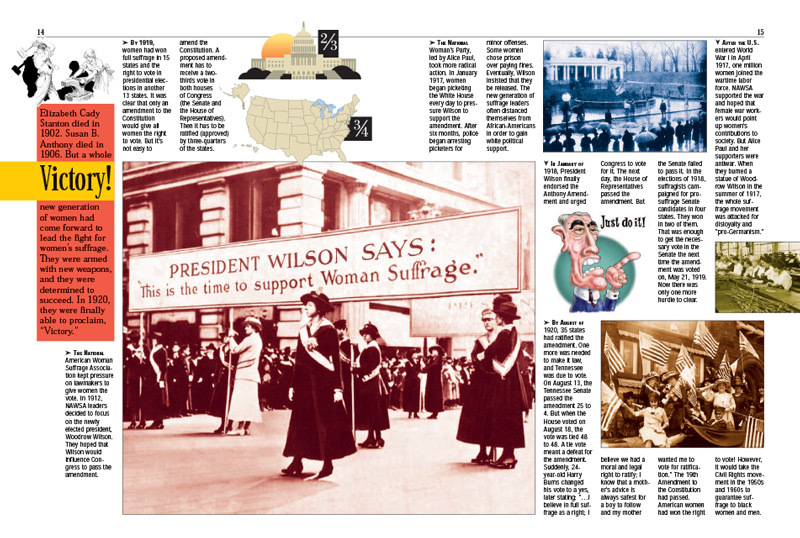 Over the next 150 years, leading suffragists like Elizabeth Cady Stanton and Susan B. Anthony kept the topic of women’s lack of rights on politicians’ desks and in the public eye with marches, protests, and well-organized campaigns. 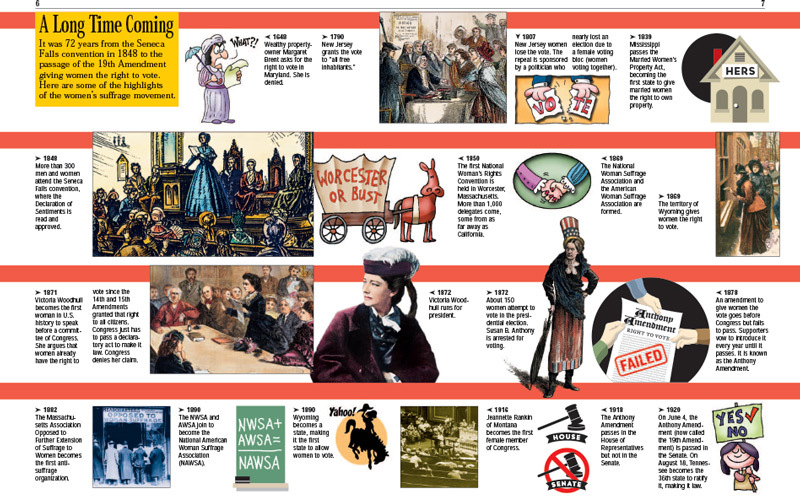 A helpful timeline charts their struggles, which ultimately led to the passage in 1920 of the 19th Amendment. 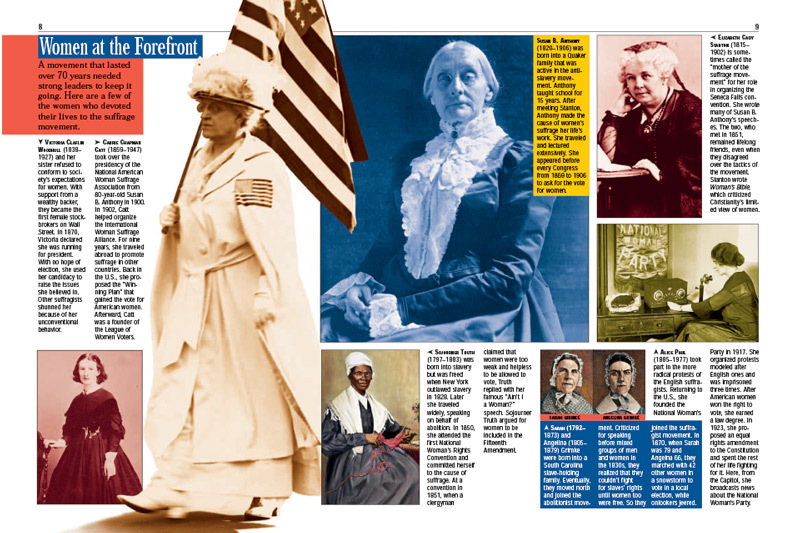 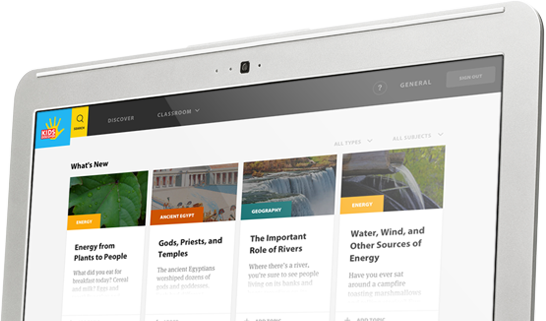 Guiding lights of the movement are introduced, such as notable African Americans like Frederick Douglass and Sojourner Truth, whose inclusion here points out to kids learning about women’s rights how much abolitionists and suffragists helped each other in their efforts. 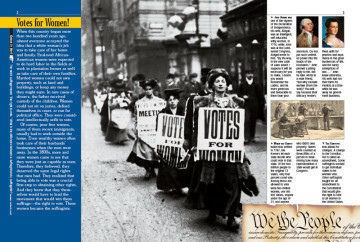 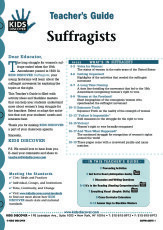 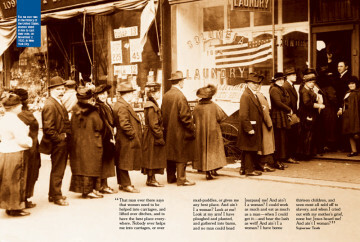 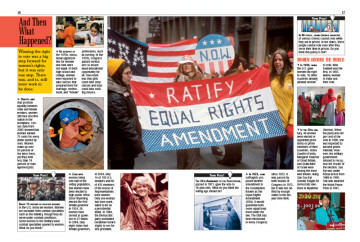 Although women now have the right to vote, learning about women’s rights, for kids, must also include an honest look at the work that still needs to be done, and this issue concludes by pointing out the disparities that still exist in the workplace and the lack of equal opportunity, both in the U.S. and around the world.